If you live in the south, you know what Love Bugs are and what a nuisance they can be. 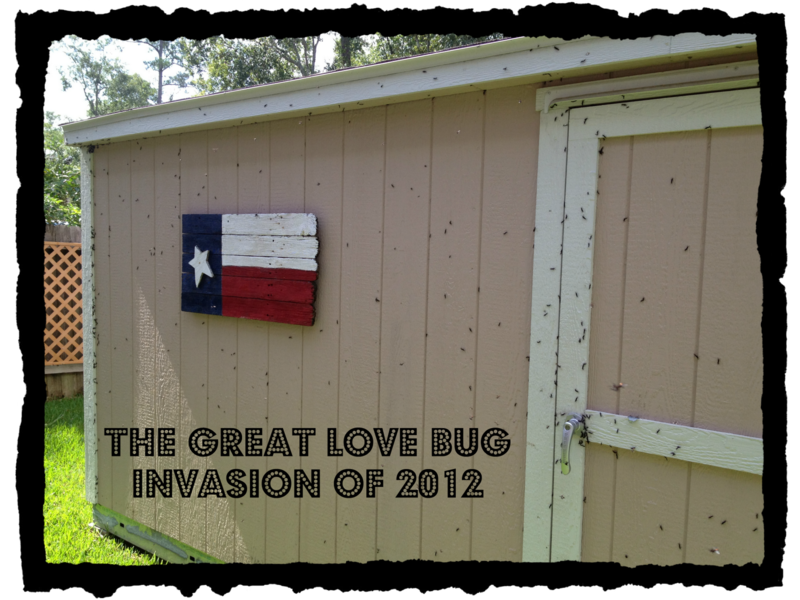 Well, I am a native Texan and I have never, ever, seen love bugs like this! For the past several days it has looked like Black Snow in the mornings. Wikipedia says Love Bugs fly over a period of 4 to 5 weeks so I'm hoping that we are at least halfway through this one! 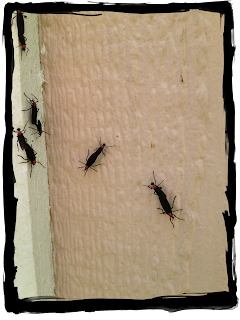 It also says they are attracted to light colored painted surfaces, which must be why they have swarmed our storage shed. Seriously, you would think they could do all of this at night - in the dark - so we don't have to see it! Oh, well, at least they don't bite or sting, but they sure make a mess of my house. Every time you open a door they are swept in. And you should see our front porch and patio! 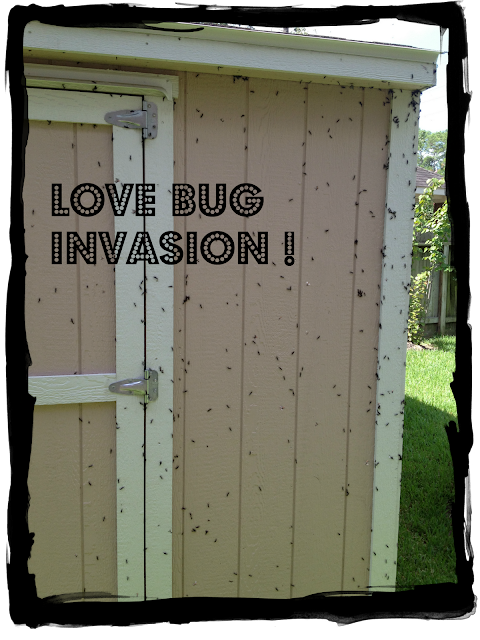 Go Away Love Bugs - We Don't Love YOU! I was born and raised in the south but I sure don't remember them there! I didn't see this little critter til we moved up to Pennsylvania! They are disgusting! Yes, at least they don't bite or eat your plants. They were almost as bad as the Japanese Beetle in PA which DID annihilate a tree in a season!!! We lived in Atlanta for 5 years and they had Japanese beetles there too! Boy could they do some damage! At least all these do is make a mess! I've never seen these bugs, thankfully. 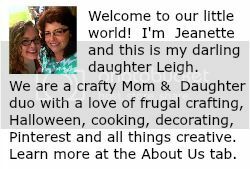 I wanted to stop by and tell you how much I appreciated you visiting Posed Perfection today and leaving me a sweet comment about my Fabric Rosette Tree. I am your newest follower. I hope you'll stop by again soon for a visit and maybe even a follow back. Have a great week! Thanks Nici! I'll be visiting often as I'm your newest follower! oKAY I thought they were bad out at our house but I think you got me beat. Now how was it when June bugs were out? Our driveway and patio was covered with those things. Gross on both bugs. Carla- we didn't have near anywhere near as many June Bugs as we did Love Bugs. They still haven't gone away, but they aren't near as bad as they were. I guess all the rain we had created the perfect environment for them. We've lived in our house 6 years and I've never seen them this bad. 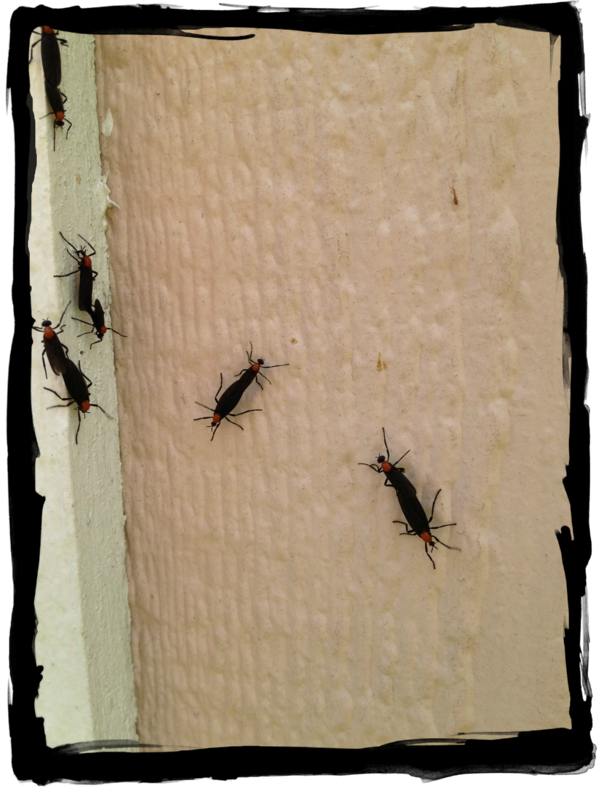 I'd rather have Love Bugs than June Bugs any day!